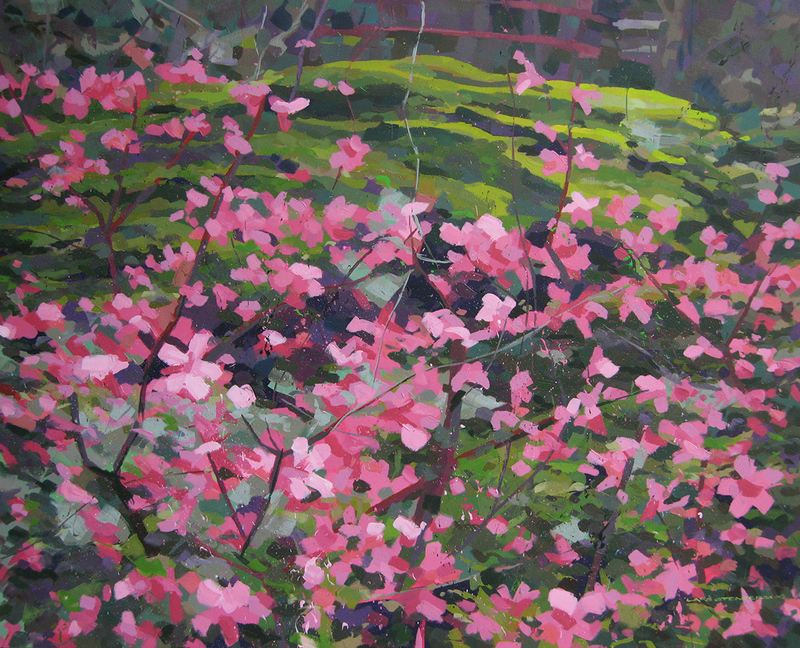 It was a damp and overcast late winter day when I sketched this azalea in the Japanese Garden in St. Mawgan in Cornwall. Its flowers held a promise of spring that was a long time coming that year. The painting was made safely back in the warmth of the studio. Thanks. Evocative. Regards from Thom at the immortal,jukebox.